SUA – Acacia Chapter pre-Founders’ Day celebration. 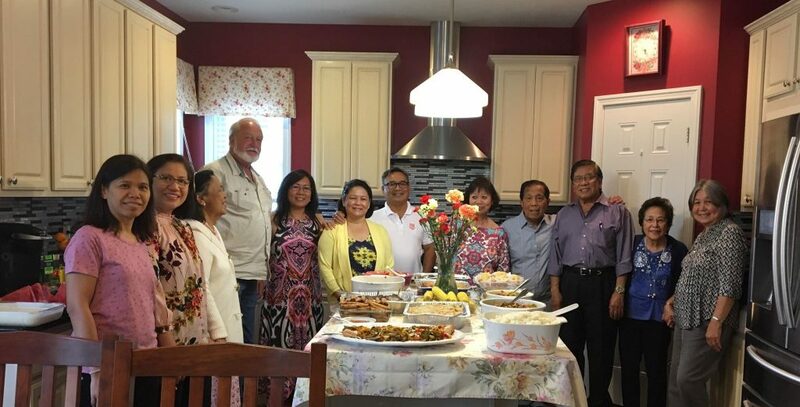 In keeping with the Silliman Spirit, the Silliman University Alumni Acacia Chapter which includes Michigan, Ohio, Kentucky, West Virginia and Western Pennsylvania, gathered last July 21, 2018 for a pre-Founders Day celebration and chapter meeting at the home of Paul and Jegells Derayunan-Yrad in Elyria, Ohio. Three Outstanding Sillimanian Awardees were present during the get together: Rev. Jose A. Malayang in the field of Religion/Church Community Service in 1997, Dr. Renato P. Querubin, in the field of Reconstructive Medicine in 1999, and Dr. Evangelyn Ceriales-Alocilja, in the field of Bio System Engineering in 2013. The Acacia Alumni Chapter has been instrumental in establishing the Dr. Wilmer Heceta Memorial Fund for financial aid to deserving Medical School students. SUA – Alberta, Canada Chapter get-together. It was an early Founders Day and mid-year get together for the Silliman University Alumni Association – Alberta, Canada Chapter, last July 21, 2018, held at Sylvan Lake, Alberta. The Alberta alumni chapter officers are: Jan Ray Moncada – president, Hanzel Somoza – vice president, Brenda Duran – treasurer, Nina Nuñez – secretary, Genevieve Liclican – auditor and Jessman Araujo – PRO.